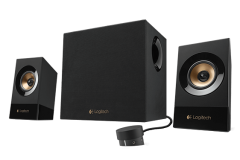 Logitech has wowed us again with their Z533 speakers. 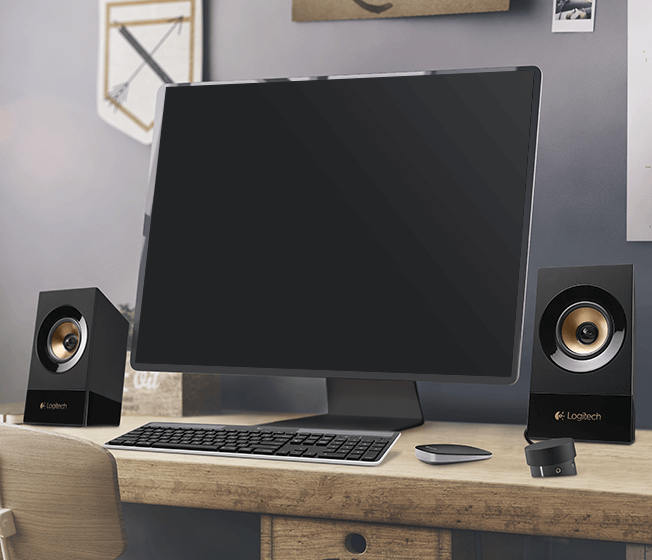 If you’re in the market for a new set of 2.1 speakers for your desktop or console, read on to see why these should be at the top of your list. Although I tend to prefer a headset when gaming, I also like to have a decent desktop speaker setup for everything else. Whenever we get to check out Logitech gear, our expectations are high and once again, we were not disappointed with the Logitech Z533. 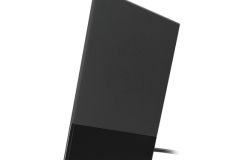 The Z533 is a 2.1 sound system designed for use with a PC or console but it also allows a little extra flexibility for connecting your phone or iPod via the control unit as a third input. The practicality of this is so that you can have your tunes playing without your PC or console running and getting some music going literally takes seconds. In addition to an auxiliary 3.5mm input, the controller also has a 3.5mm headphone output and allows you to adjust both the bass and the volume. 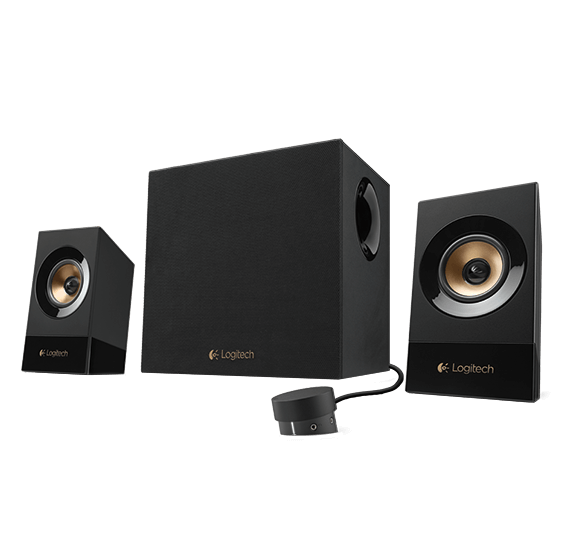 The 2 desktop speakers are each rated at 15 watts (into 8 ohms, @1 KHz, @10% THD) with 66mm drivers while the subwoofer has a 133mm front firing dome driver and is rated at 30 watts (into 4 ohms, @100Hz, @10% THD). The result is that the Z533 can throw out impressive sound in terms of both volume and quality – especially for its compact size. We reviewed the Z533 as a desktop speaker set with a focus on PC Gaming use but this could be used with anything that has a 3.5mm or RCA output. Logitech has gone with an open/uncovered design and mixture of textures. 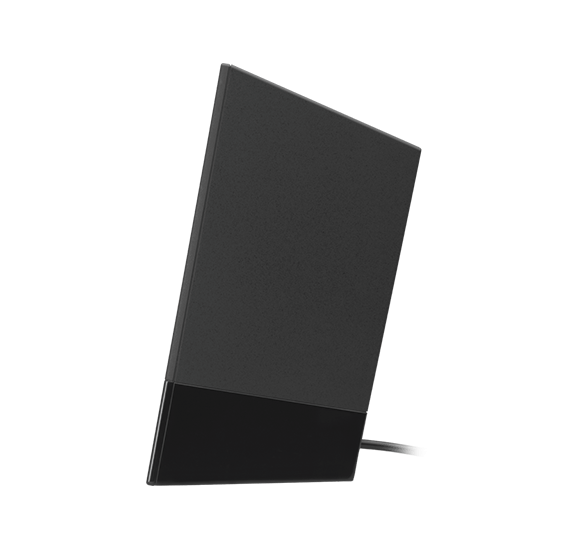 There is shiny piano-finish black plastic along the bottom of the speakers and the outer ring of the speaker cone that shows up dust but cleans up easily. The rest of the speaker housing is matte black with a gold/brass coloured inner ring around the cone. The subwoofer has the speaker itself covered with black cloth and is very subtle. 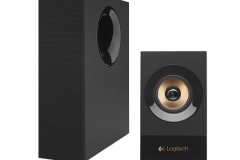 The Logitech branding is in gold at the bottom edge of both speakers. The packing ensures that you get your speakers in pristine condition. The Z533 parts are all well protected by cardboard, foam wrap and thin film over the piano-finish surfaces. Sound is one of those really subjective areas and people have different tastes in music with preferences for more or less bass as an example. There are also a number of variables at play such as the source of the signal and the condition of the ears of the reviewer. In this case I’d like to think that we have those areas covered. The ALC1150 chip and AudioBoost platform of our MSI X99S Gaming 7 test system is above average for Onboard PC sound and in-line with what we would expect a person who is looking to buy the Z533 might have. As it happens, I also had hearing tests done recently with solid results. Regardless of whether I was using the X99S test bench or my iPhone on the Auxiliary input, the experience I had with music on the Z533 was outstanding. I tested this with Rock, Pop, Acoustic, live recordings, Classical and some Jazz. The audio sources were a combination of .FLAC, CDs and MP3 files. In all instances, I was impressed by the performance of these desktop speakers. Rock and Pop demonstrated some punchy bass, the acoustic, jazz and classical really showed off the clarity and when listening to the live recordings, they sounded true and under produced – as you would expect and hope for. I don’t tend to watch movies at my desk but I’d be happy to with these speakers. The result was really crisp in the quiet/dialog parts of movies and also very full during action scenes. In the setting of a rumpus room, study or bedroom where a smaller TV or computer monitor with minimal built in speakers are available, the Z533 would be perfect. Gaming on the Z533 was amazing. I was really impressed with how clear but powerful First Person Shooters and Role Playing Games sounded. Whilst Real Time strategy and action games sounded great, the immersion felt more impressive to me with the First Person view titles. In-game music also benefits from the Z533, especially with games like Star Wars Battlefront where the music score is a bigger part of the overall experience. 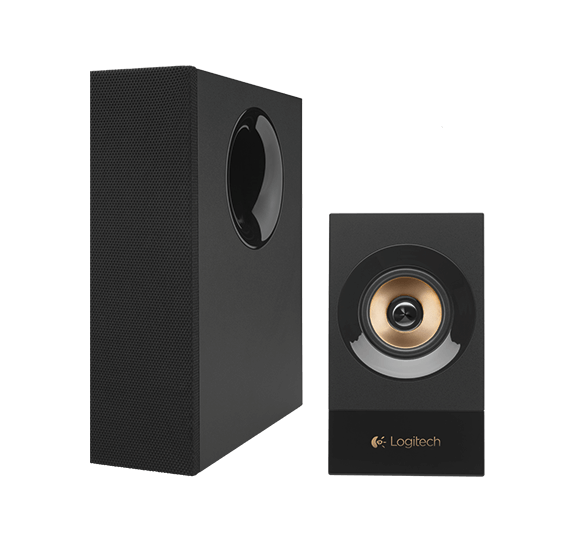 The Z533 is really well thought out and the most convenient desktop speaker set I’ve used. Sure, there are a bunch of cables but they are flexible and easy enough to neatly route. The cable lengths are good too and I didn’t have any issues with them being too short. To get a balanced view, I also sought feedback from no less than 8 other people and the message was consistent with everyone pleasantly surprised with the output, particularly the clarity and bass. When I asked what these people thought the price might be, the response was usually much higher than the street price as well. If you look at the Logitech website, you will see that the RRP is $170 but as usual, the street price is a lot more palatable at ~$130 depending on where you shop. Make no mistake about it the street price is great value for money. As with all of the other Logitech products that I’ve seen in the last 2 years, build quality and finish are of a high standard. Obviously Logitech has products for different consumers and budgets but at this enthusiast level, as with the ‘G’ series gaming line, you get what you pay for – if not a little bit more in this case. The speakers are a bit of a dust/fingerprint magnet but the surfaces are also easy to wipe clean with a lint-free cloth. I really enjoyed the bass when listening to music but found that it really shone during gaming. As an example, the Thermal Imploder grenades (basically a mini nuke) from Star Wars Battlefront sound amazing with these speakers. When using them as desktop speakers, I also didn’t need to have the volume above about 30% but I did crank it up to almost 50% for music when doing a gaming rig build in the office for another review. 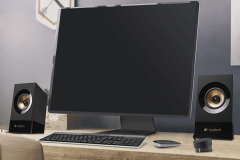 Dialogue is another area where the Z533 system added to immersion and I found myself happy to use the desktop speakers on the test bench for gaming over my usual headset. Later in the evenings when other people in the house were trying to sleep it was a simple matter of connecting a headset to the base of the control unit. The volume control also works here so it isn’t just a straight pass through, the Z533 also amplifies the audio to the headset. Finally, I really like the controller, it is very intuitive and the power LED isn’t too bright either. The volume control glided effortlessly – perhaps a little too effortlessly but it didn’t take long to adjust. This is a safe purchase and great value.